RVers often need more than what’s available in most repair kits, and this gives them more options than other kits for the same price. 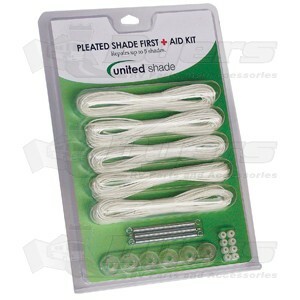 United Shade is introducing an aftermarket pleated shade repair kit that will allow RVers to restring and repair up to five shades. The instructions come in an illustrated format, flat-head and Phillips screwdrivers and scissors are the only tools needed.